You are currently browsing the tag archive for the ‘Mary Perpich’ tag. 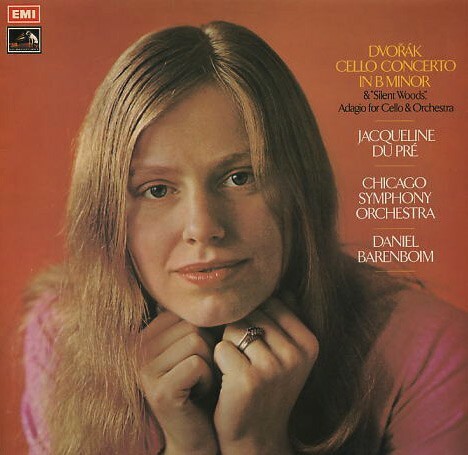 On January 26, 2015, we celebrate the seventieth birthday of the remarkable English cellist Jacqueline du Pré, who performed and recorded with the Chicago Symphony Orchestra in 1969 and 1970. Tragically, her performing career was cut short and she was diagnosed with multiple sclerosis in October 1973. Du Pré died in London on October 19, 1987, at the age of forty-two. Du Pré only performed and recorded with the Orchestra on a handful of occasions, but those occasions were notable not only for her playing but also because of the conductors with whom she shared the stage. In February 1969, Pierre Boulez made his first guest conducting appearances with the Chicago Symphony Orchestra. 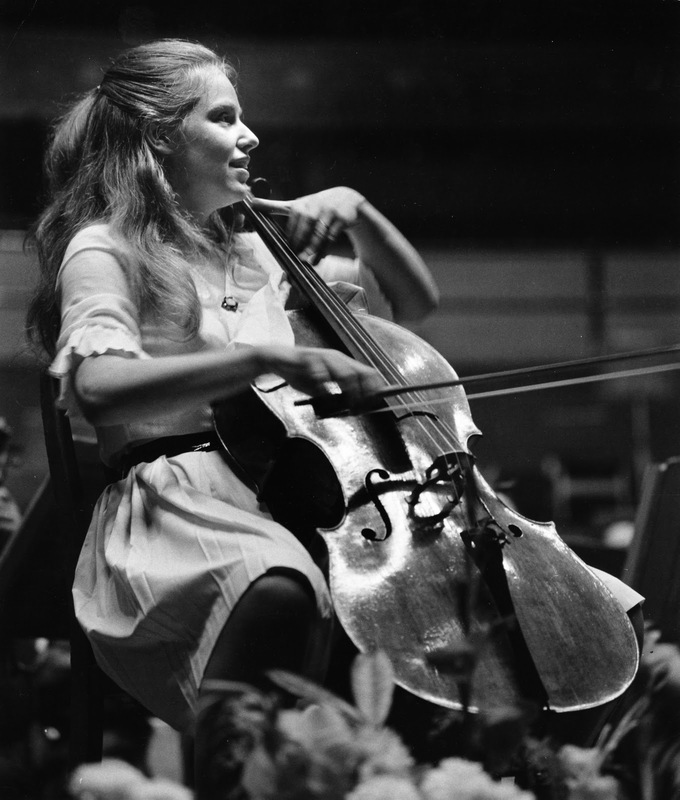 The first week included Daniel Barenboim’s subscription concert debut as piano soloist, and on the second week’s program, Jacqueline du Pré made her debut with the Orchestra, as soloist in Schumann’s Cello Concerto in A minor. Later that same year in November, Georg Solti made his first conducting appearances as the Chicago Symphony Orchestra’s eighth music director. The centerpiece of that program was Dvořák’s Cello Concerto in B minor with du Pré as soloist. In November 1970, du Pré and Barenboim appeared in a series of concerts at Michigan State University as part of a festival celebrating the bicentennial of Ludwig van Beethoven. The pair presented an evening of chamber music on November 2, and Barenboim gave an all-Beethoven piano recital the following night. On November 4, Barenboim made his conducting debut with the Chicago Symphony Orchestra and the first piece on the program was Dvořák’s Cello Concerto. Two days later, du Pré was soloist in Saint-Saëns’s Cello Concerto. The complete programs are here. In the Lansing State Journal after the November 4 concert, Winnifred Sherburn commented: “Miss du Pré, cello soloist with the symphony, must be heard and seen to be believed. Her beautiful playing of the Dvořák Concerto for Violoncello enthralled the capacity audience. Barenboim, who conducted, gave the most sensitive support, perfectly controlling the ensemble. The effect was that of a large orchestra listening to a solo instrument with the closest attention. . . . Though loosely knit, the music was brilliant and dramatic and Miss du Pré played it gloriously with all her wonderful tone, technique, and style.” The complete review is here. Later that week in the Journal, Mary Perpich wrote: “But it was Miss du Pré that took the audience’s hearts with her unique rendering of the Saint-Saëns concerto. She is fascinating to watch. Looking almost childlike in her full-length evening gown of purple and green with her long, blonde hair pulled back from her face, the 25-year-old master musician perched on a chair next to her husband and began her thoroughly captivating performance. And while she played she seemed to go into a trance, caressing the cello lovingly as if it were a newborn child, head moving gently from side to side, she and her instrument produced beautifully tempered music. She broke the spell only twice to watch her husband a cue and smile triumphantly at the orchestra concertmaster. The audience brought her back for five bows before she finally left [the] stage.” The complete review is here. 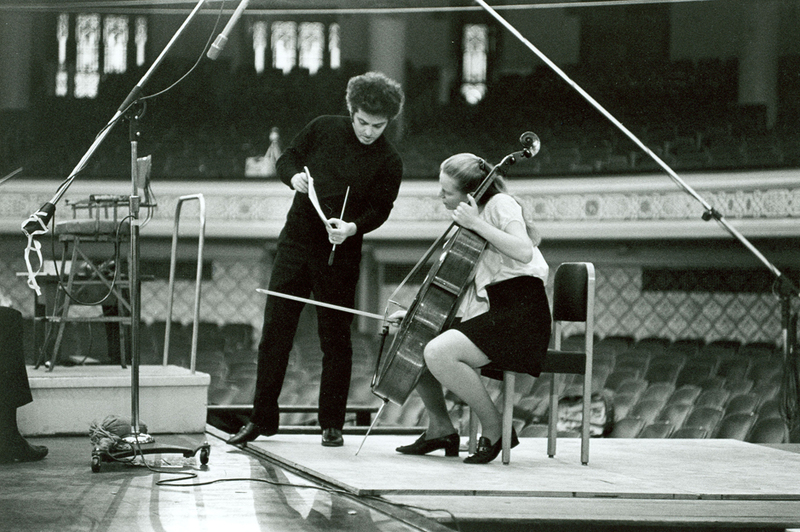 On November 11, 1970, at Medinah Temple, du Pré recorded Dvořák’s Cello Concerto and Silent Woods with Daniel Barenboim leading the Chicago Symphony Orchestra. For Angel Records, Peter Andry was the producer and Carson Taylor was the balance engineer. The recording has been in print ever since.